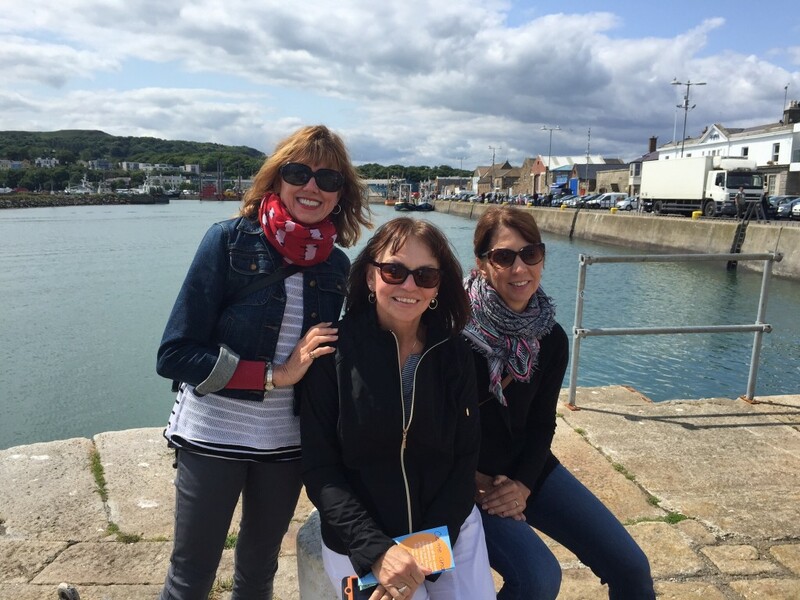 This morning Connie, Cathie and I took the train about nine miles north of Dublin to the lovely little village of Howth. 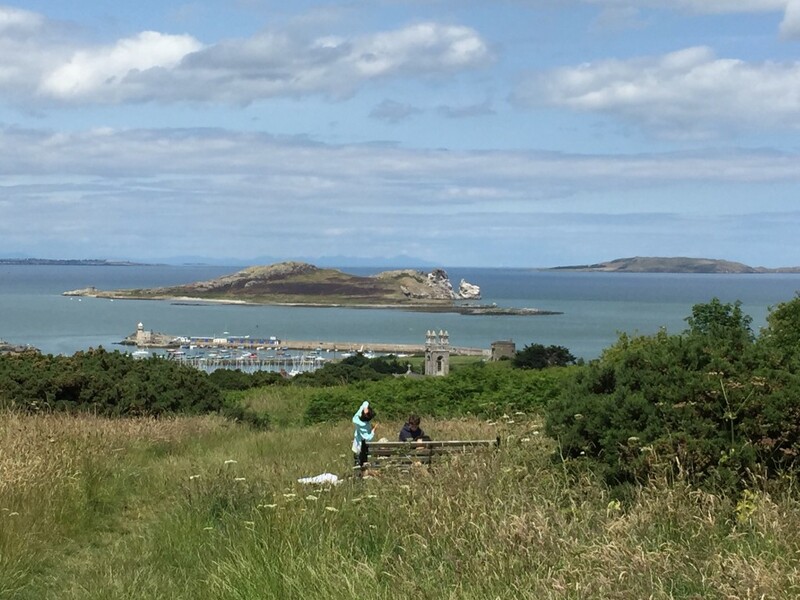 On the shores of Dublin Bay, Howth is known for fishing, birdwathching, sailing and seafood. It was a beautiful, sunny day, perfect for exploring the area. 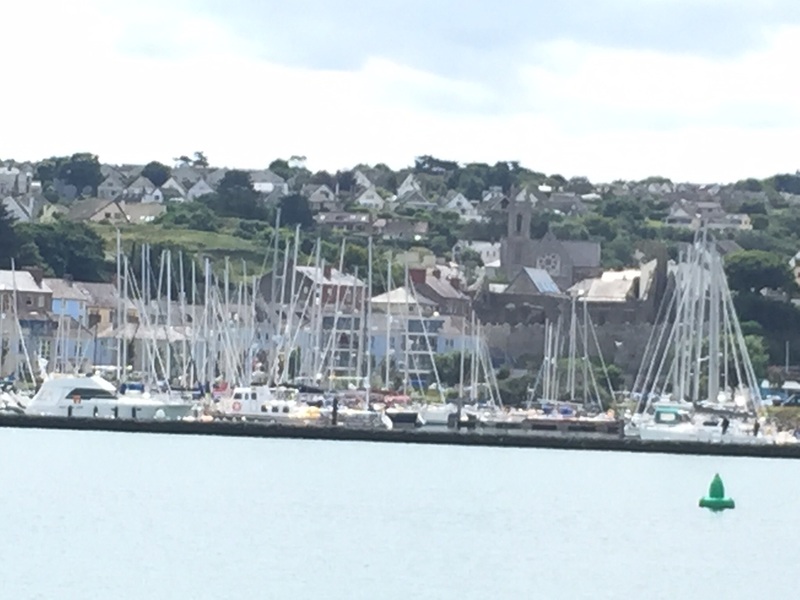 After walking out on the pier, we hiked to the town center and on up the hill. 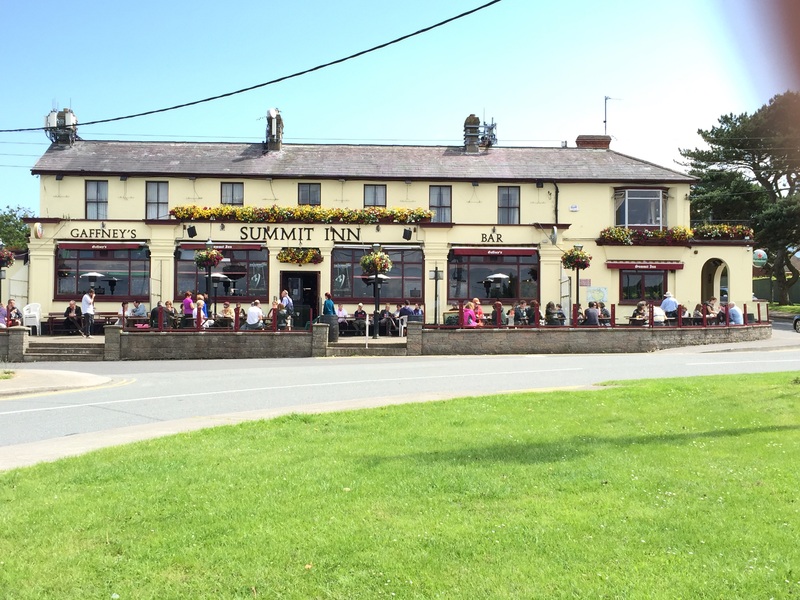 At the top of the hill, we found this welcoming inn, a perfect spot for a drink and a little break in the sunshine. We took a different path down the hill and the views from the hill were beautiful. Taking a little stroll after we returned to Dublin, we noticed a large group of police down one of the streets and went to investigate. 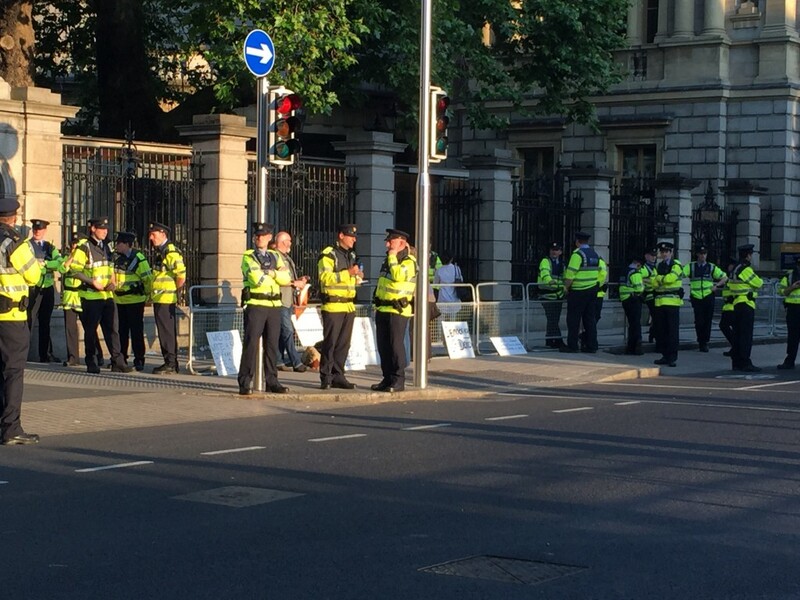 A couple told us there was going to be a protest about the new water charge outside of the building where the Parliament was meeting. This entry was posted in Great Britain 2015 on July 15, 2015 by debbie.